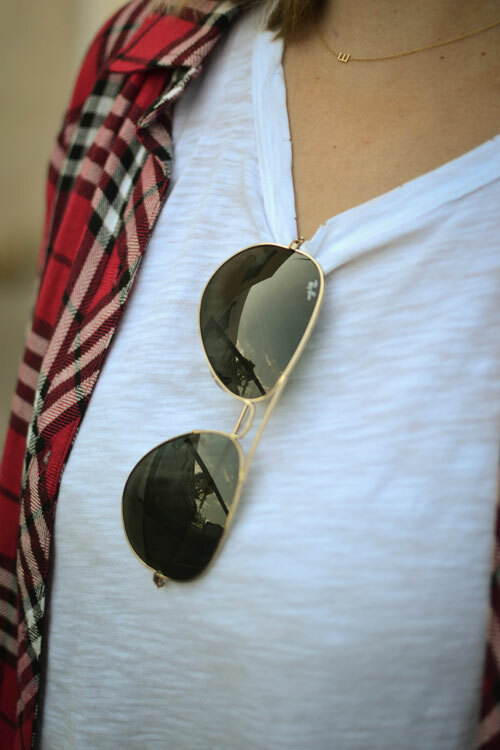 Is it just me, or does a plaid shirt worn with cut offs, chucks and a pair of Ray-Ban aviators have an instant cool factor to it? I wore this outfit for a fun filled day at Mr. Bones pumpkin patch in L.A. with my husband and daughter this past Saturday. Despite the fact that it was nearly 80 degrees outside, my lightweight plaid shirt made me feel like it was fall for a (very) brief second. Very simple, daytime outfit, but I like it a lot!